Great news, vapers! V2 Cigs are having a huge Memorial Day sale this week. How big, you ask? Well, how does 25% off everything sound? Sounds darn good to us! You can check out their Memorial Day holiday sale here. Heads up, folks! In case you didn't know, Halo Cigs are running a big Memorial Day sale right now, and offering a full 10% off everything on the site (e-liquid, starter kits, etc). And guess what? 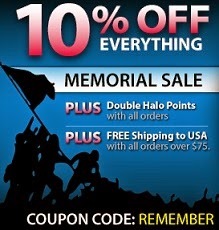 They're also offering double Halo Points with all orders, as well as FREE shipping too. So don't snooze and lose! Vaping deals like this are few and far between. UPDATE: The V2 Pro Series 3 is now available. Check it out here! And wow, it looks freaking amazing. Actually, it IS amazing (we recently got one and did a full review of the Series 3). Truth be told, I've been waiting for V2 to design something as spectacular as this for a long, lonf time. While they've always offered stellar vaping products, they never offered any bigger and better batteries that could compete with the awesome Halo Triton battery. Likewise, they never offered any sort of variable voltage or variable wattage option to compete with Halo's Triton Twist battery, or the Volcanoecigs LavaTube (both are killer awesome, btw.). Well, it looks like things have finally changed. 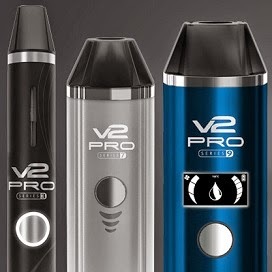 Undoubtedly, V2 Cigs have upped their game - immensely - as this personal vaporizer is a big time game changer in the world of vaping. That's all we know thus far. But stay tuned! We'll be the first to know more about it as soon as V2 Cigs alerts us of its official release. So be sure to bookmark this page and check back frequently. UPDATE: The V2 Pro Series 3 is now available. See it here. If you've been looking for a really good Cola flavored e-liquid, then you're in luck. We've found one for you, and it's also on sale! Volcanoecigs are currently having a 30% Off sale for their Surfer Soda e-liquid flavor. So if you're interested, don't delay! The sale ends in just a few days. Surfer Soda is available in both 30ml and 15ml bottle sizes, as well as nicotine strengths from ZERO nicotine all the way up to 24 mg. Flavor description: "This authentic, carbonated cola e-liquid offers a mildly sweet and medium-bodied experience. 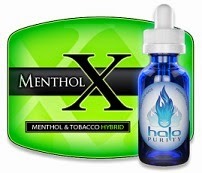 The warm inhale levels out sharply, providing a tangy citrus aftertaste that provides a big finish to a classic flavor. Mix with a fruity flavor to duplicate any traditional fruit soda." In case you're new to vaping, Volcanoecigs are well-known for their high quality e-liquids and their awesome e-cig devices (like the INFERNO and the LAVATUBE). Needless to say, you can't go wrong with them.